Have you had your coffee fix today? The 60% of Australians aged between 30 and 70 who drink coffee every day probably have! Given coffee’s popularity, it’s no surprise it’s a non-negotiable feature at most events. 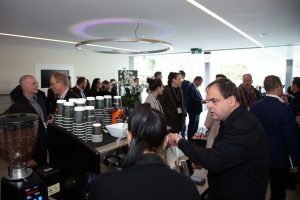 While catering to the caffeine demands of a small internal meeting is easy, things can get tricky for large events hosting hundreds or thousands of attendees. Do you serve filter or barista brewed? How do you avoid long lines and over stretched service? What happens to a large crowd when they’re deprived of caffeine?! 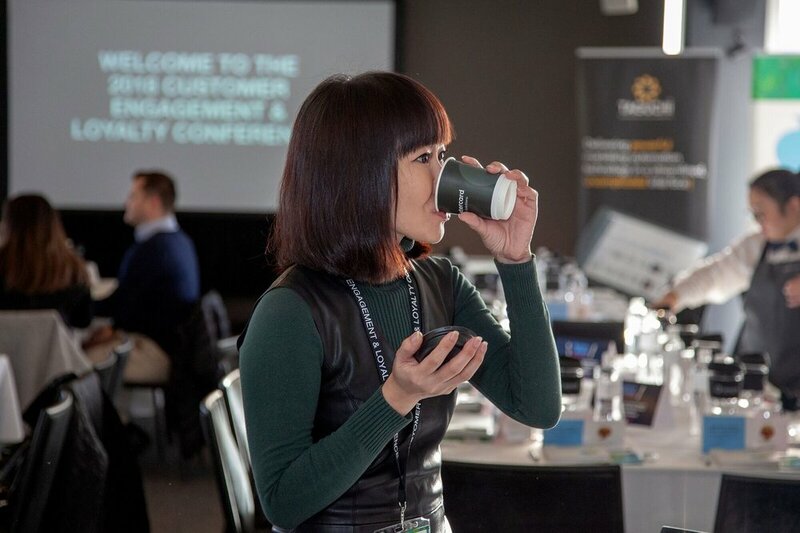 The coffee conundrum made us dig deeper to find out more about the Customer Engagement and Loyalty Conference that took place in Australia’s coffee capital, Melbourne. CC: Hi Elizabeth, can you tell us a little more about your event? 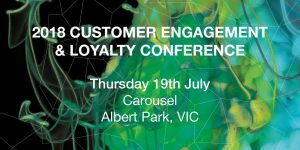 Elizabeth: It’s the Customer Engagement and Loyalty Conference. The event has been running for six years and provides information, discussion and networking opportunities. Attendees tend to be people in senior, decision-making roles in marketing managers, loyalty and data analytics. CC: So, people who are very likely to expect, or rather need, coffee at an event? Elizabeth:Absolutely! In the past we’d serve filter coffee, but we’d find that people were nipping out to get a ‘proper’ coffee. Given the 2018 event was being held near Melbourne where there is a strong expectation for great coffee we felt filter wouldn’t fly with our attendees. CC: Did you bring in a barista? Elizabeth:We certainly did. We hired two coffee carts to cater the event. One would provide a walk-up service like a normal café. The other would deliver coffee orders made via our event app. CC: Wow! A clever idea. Elizabeth:I thought incorporating a coffee ordering element into the event app would not only make getting hold of a coffee a lot easier but it would also encourage downloads of the event app itself. CrowdComms came up with a clean and simple ordering feature for the event app that was exactly what we were looking for. Elizabeth:It did, almost everyone downloaded the app! We also made coffee ordering part of our gamification strategy. For every coffee attendees ordered they would receive 25pts and boost their place on the leaderboard. It definitely helped with event engagement. CC: And how about the in-app ordering, was that a success? Elizabeth: It went down so well. It was really easy to place an order. People could specify their coffee preference and milk type. The order went straight to the barista who worked from the list of incoming requests. Attendees could order throughout the day so we had hardly any queuing. CC: What was the attendee feedback like? Elizabeth: They loved it! Attendees could order as many coffees as they liked. I had plenty of people asking me “where can I pay for coffee?” They were delighted to find out it was free! We planned on three coffees per person and came in just under that for the event. CC: Did you get any sponsor feedback? Elizabeth:Mastercard sponsored the coffee cart. While they didn’t give any specific feedback they had done this before so it obviously works for them. CC: Finally, do you think the coffee ordering gave your event a strong point of difference? Elizabeth: Definitely. Coffee is an instrumental part of many people’s day. Making sure attendees could get their daily cup easily (and for free!) helped create a lovely, positive vibe throughout the event.